Massive warehouse space with roller door access, three phase power, and a climate controlled green room. 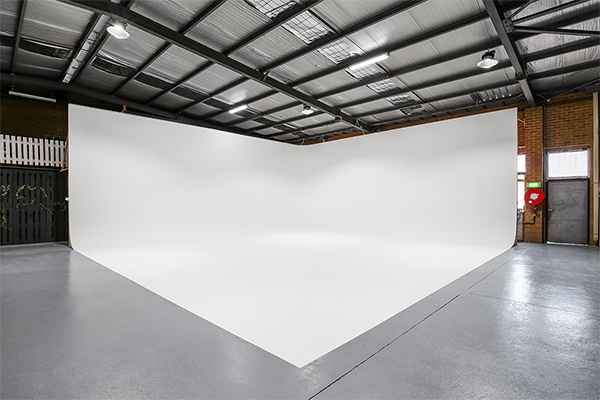 10mx10m wide and 4.5m high, two-walled white cyclorama. 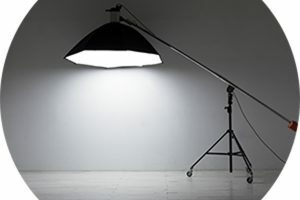 Every hire includes c-stands, an articulating superboom, shot bags and poly boards. To book, click on the day you would like, and select a half day or full day by following the prompts! Please note: The cyclorama will be provided in a fairly clean, but not pristine condition. If necessary, select a fresh coat of paint from the optional extras below. For any multi-day bookings; bookings that fall outside these times; special requests; or just to say hi, please get in touch! WE WILL ASSESS ANY SPECIAL REQUIRMENTS ON A CASE BY CASE BASIS, AND ADDITIONAL FEES MAY APPLY. 1. By your submission of this online form, the entity/ individuals detailed in section 5 (hereafter referred to as ‘the Hirer’) agree to be bound by these terms and conditions. 2. 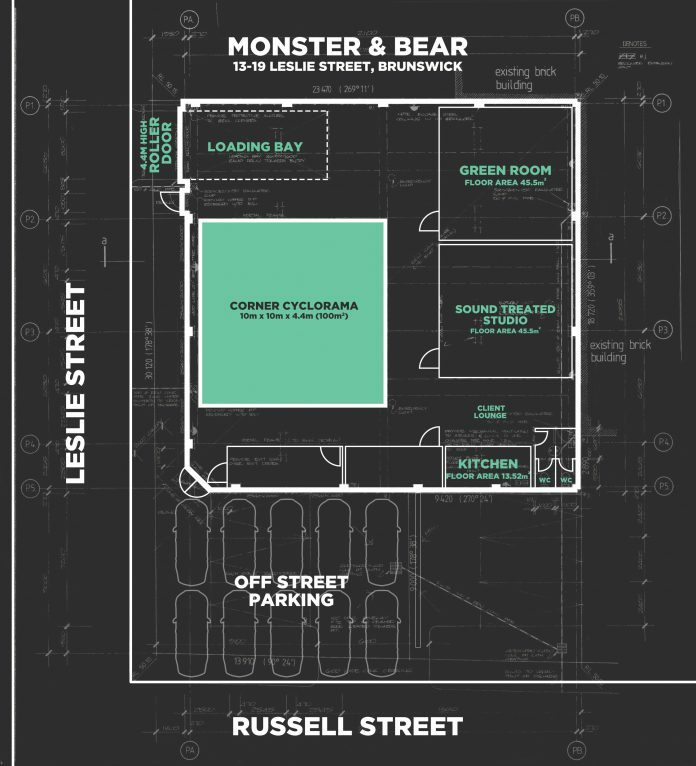 Monster & Bear Pty Ltd (hereafter referred to as ‘M&B’) agree to hire the Cyclorama and/or Sound Treated Studio located at 13-19 Leslie Street, Brunswick Victoria 3056 (hereafter referred to as ‘the Premises’) inclusive of any additional equipment and/or property as requested on the online booking form. 3. Upon cleared funds received, your booking will be confirmed. b. any arrangement or proposal stated in the field ‘Other’ under section 4 of the online booking form is in any way deemed hazardous to the Premises or personnel. 5. M&B will notify the Hirer whether it deems the proposed use of the Premises in contravention of these terms and conditions, and will automatically refund any payment received. M&B is not liable in any way for any claim made as a result. a. should the Hirer cancel the booking less than 48 hours prior, M&B reserves the right to retain up to 50% of all fees paid. b. Should the Hirer cancel the booking less than 24 hours prior, M&B reserves the right to retain up to 100% of all fees paid. 7. The Hirer cannot use the Premises or any part of the M&B property for any other purpose other than as agreed to at the time of booking. 8. The Hirer must comply with the directions of M&B staff at all times whilst on the Premises and must not use the Premises in any way that obstructs the ordinary business activities of M&B in any other area of the Premises. d. discrimination of any sort and any belligerent or offensive behaviour. 10. The Hirer is responsible to M&B for any of the above prohibitions and must indemnify M&B as a consequence of such a breach. 11. The Hirer is responsible returning the Premises to a reasonably clean and tidy state following the booking. M&B reserves the right to charge a cleaning fee should the space be left in an unacceptable state. 12. All individuals attending the Premises on behalf of the Hirer are to use only those areas designated to them unless as otherwise agreed to by M&B on the day. 13. The Hirer agrees to the period of hire and M&B reserves its right to request the Hirer vacate the Premises should they exceed the time limit agreed. 14. 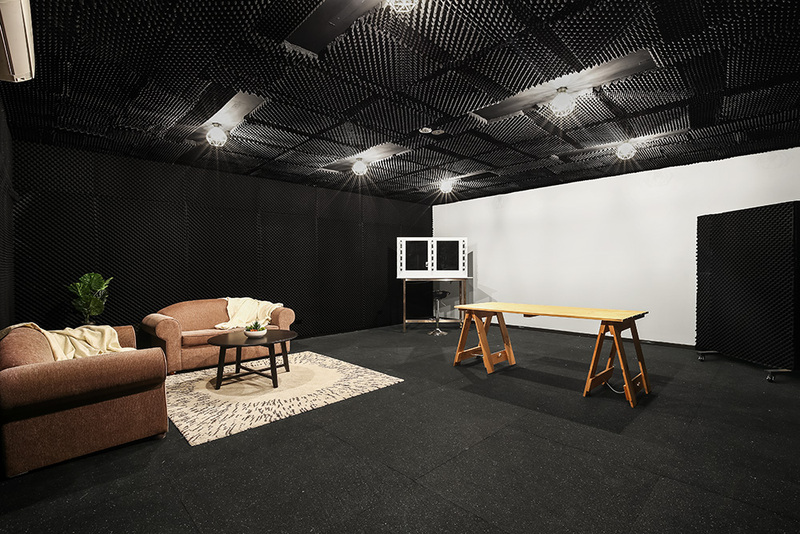 It is the responsibility of the Hirer to familiarise itself with the Studio Manual. 15. M&B reserve the right to request details of each individual attending the Premises prior to its use. 16. The Hirer warrants that it is aware of the importance of Occupational Health & Safety and will endeavour to follow these guidelines at all times whilst at the Premises. 17. The Hirer are to be mindful of the impact of their activity on others using the Premises and respect their space. 18. The Premises is under no circumstances allowed to be subletted. 19. The Hirer acknowledges and agrees it is legally liable and is solely responsible for injury or property damage arising from the Hirer’s usage of the Premises. 20. The Hirer is responsible for any costs associated with any damage or loss incurred to any fittings, property or equipment on or about the Premises which are caused or contributed to by the Hirer, or any third parties engaged by the Hirer. 21. The Hirer acknowledges and agrees to compensate M&B for any actual damages and/or costs of any repairs/replacements as a result of any loss or damage suffered at the Premises. 22. 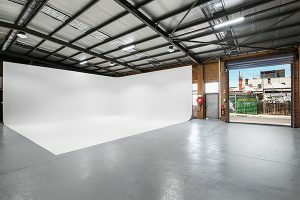 All equipment, resources and facilities additional to the Premises as requested at the time of booking are to be used in an appropriate manner. It is acknowledged and agreed that any costs sustained by M&B as a result of their misuse will be passed on to the Hirer. 23. M&B reserves the right to request proof of current public liability insurance in the event that your booking involves special requirements or extenuating circumstances. 24. The Hirer shall indemnify M&B against all actions, claims, demands, proceedings, losses, damages, compensation, costs (including solicitor and client costs), charges and any expense whatsoever in respect of any personal injury caused or contributed to by the negligent act or omissions or breaches of these terms and conditions by the Hirer, its third parties or agents for damage to equipment or any other property belonging to M&B. 25. The Hirer shall also indemnify and keep indemnified M&B from and against all loss or damage to the Premises, real or personal including (but not limited to) any fixtures, furnishings or goods belonging to M&B caused as a result of negligence by the Hirer.